My struggles with weight are to some degree tied to my lack of judgment after a beer or two, so I decided to park the alcohol consumption for a few months. 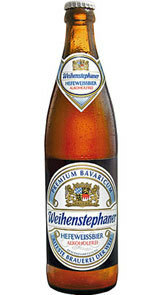 I still really like the taste of beer, though, so I decided to try to find a decent alcohol-free beer. Decent Beer That's Alcohol Free - Mission Impossible? I thought so at first, but that's mostly because the grocery store offerings are relatively terrible. I bought one of their mixed cases ("Ultimate Beer Mixed Case") just to try and see what I liked. $55 + shipping for 24 near bears seemed steep, but I thought it would be worth the plunge to check it out. It's very hit and miss. Some of them just don't taste that good. I didn't like the Erdinger for example - which I expected to really enjoy since I love regular Erdinger. But it had a weird aftertaste. This tastes so good, the most like a "real" complex beer of the ones I've had so far. To me it was indifferentiable from real beer, just solidly delicious. This one tastes great, much like a real wheat bear would taste. 500mL is a little much for near beer in my opinion... I really just need a taste most of the time. But really delicious. I've managed to find the Non-alcohol Becks in my local stores, it's relatively cheap and pretty good. My go-to everyday kind of non-alochol beer.